Limited edition purple vinyl & collector's edition CD! Bananarama’s self-titled second album cemented the band as International pop superstars — with no less than five hit singles and a Top 10 with "Cruel Summer" in both the U.K. and U.S.A. The album includes the singles: "Cruel Summer," "Rough Justice," "King Of The Jungle," "Hot Line To Heaven," and "Robert De Niro’s Waiting." 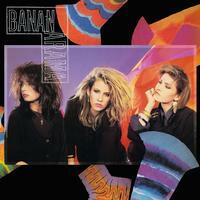 Bananarama are often cited as the U.K.’s most successful ever girl group with five U.K. singles and 10 Top 10's. They were the girl group that defined the eighties with their run of pop hits which soundtracked the lives of fans around the world.